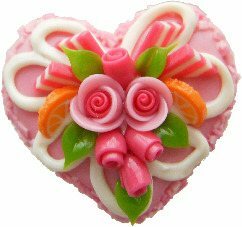 Large handmade pink celebration cake ring made from non-toxic polymer clay. Silver plated nickel free adjustable ring, can fit any size finger. Part of the miniature food range.